Claim: Climate Models Underestimate Costs to Future Generations | Watts Up With That? Future generations will have to pay more for today’s carbon emissions than what governments across the world currently understand. The climate models used by policymakers around the world to estimate the economic and social costs of CO2 emissions have to be improved according to Thomas Sterner, professor of Environmental Economics at the School of Business, Economics and Law, University of Gothenburg, and six other scientists in the prestigious journal Nature. The seven scientists behind the article, due to be published 10 April (read online), conclude that the reports by the UN climate panel serve an important function in setting the agenda for climate research. Yet the most important role of the Intergovernmental Panel on Climate Change (IPCC) is to inform the global political discussion on how the harm caused by climate change should be handled. Thomas Sterner, expert on policy instruments to reduce greenhouse gas emissions, is a Coordinating Lead Author of one key chapter on policy instruments in the Working Group III of the Fifth Assessment Report of the UN (IPCC) climate report that is scheduled to be presented on Sunday 13 April in Berlin. ‘Our purpose with this article in Nature is to discuss models that will enable us to calculate a necessary minimum level for the global environmental damage of emitting an additional ton of carbon dioxide. This cost is very relevant given the attempts of the White House to raise the so-called social cost of carbon in the U.S. to 37 dollars per ton. All U.S. authorities (such as the Departments of Energy or Transport) must take this cost into account in calculations of investments in roads and energy supply,’ says Sterner. The social cost of carbon correspond to the money saved when damages due to climate change are avoided as a result of the countries of the world undertaking policy that leads to reduced emissions of CO2. ‘Sweden has already gone further than what the U.S. is discussing, since we have a CO2 tax of about USD 150 per ton, or SEK 1 per kilo, of CO2 emissions from transports and energy,’ says Sterner. The article in Nature is entitled Improve Economic Models of Climate Change. The authors point to several weaknesses of the most commonly used climate models. 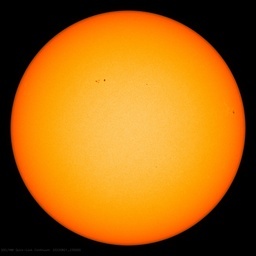 However, they write that the models are useful, notwithstanding the significant uncertainties – since they do provide a minimum level and thus enable politicians to reduce the effects of climate change to some extent. Also, the authors continue, modelers, economists and natural scientists must leave their ivory towers and cooperate with each other in order to identify research gaps and weaknesses, with a view to continuously improve their models. Economic climate models need to be updated more often to keep up with new research findings. If this is not done, the damage caused by CO2 emissions will be underestimated also in the future, which means that political decision-making around the world will continue to underestimate the true economic effects of climate change. April 8, 2014 in Forecasting, IPCC, Modeling. levying carbon taxes is simply another scheme to raise revenue for government expansion. If that money actually had to be paid dollar for dollar to developing economies for mitigation, the discussion of carbon taxes would simply vanish from the political landscape. Sick and tired of this BS. We’re paying through our noses and not only because of the climate scare but also because the Fed (and the ECB) is robbing buying power as a matter of policy. Consuming is bad, fossil fuels, bad, eating meat, bad. exhaling Co2, bad, driving an SUV, bad, being alive, bad. It’s revolution time. The establishemnt has declared war on the masses and they want them rather dead than alive. Looking at that graph (RSS and AMSU v Models) has convinced me/made me, a proud denier: ie C02 has 0 zilch, nada, bu#### all etc….effect on global earth temperatures. Throw the bums out. These “models” are garbage! It was announced in a Netherlands news source that Richard Tol has left the IPCC because the panel does not adhere to scientific principles. That’s hilarious, they can barely get $3 a ton for it in the EU. Of course the climate models underestimate the costs to future generations, they don’t include the enormous and ever-growing cost of ecoterrorism. That’s only the high-emission scenarios that are warmer than the actual temperatures. If you look at the projections for low-emissions (mitigation) they match the observed record pretty closely. Almost like CO2 has very little to do with temps. Funny that. Let’s prepare for stuff that has always happened in the past, but now we will politicize it and blame it on ourselves. Brilliant! Honestly, why do they even bother sending it to Nature when they could just tell the twittered “It’s going to be worse than we thought” ? It doesn’t even take 70 characters, never mind 140. Did they work out the greening biosphere of extra co2? AR5 WGI are not seeing eye-to-eye with WGII as a result it’s going to be worse than we extrapolated. Climate and Weather Models are Junk past 15 days out, I should know I have been watching them for 10 years. The ice models are even worse just out a few days. The amount C02 we put in the atmosphere is very small compared to Natural C02 released into the atmosphere year. Simple Pie Chart most of the C02 released into the atmosphere is also natural. The AMO is about to talk a S&!t and so will N Hem temps. They are pushing hard to pass all the new carbon taxes before their time runs out on the AGW scam. P.S Climate and weather models are are just like the Candy House in the childrens story Hansel and Gretel. The models are the house and the witch that lives inside. If you eat the candy you will be eaten by the model witch. Oops sorry, posting on Mobil device and posted wrong picture. First we get Stern. Then we get Sterner. Are we to get Sternest next? Wow! Seven scientists and absolutely no science! Nature is supposed to be a science journal, yet is more a tabloid when it publishes such drivel. Next thing you know, Nature will feature articles on aliens playing croquette with Obama on the White House lawn. Any real scientist would be ethically and professionally required to consider the benefits of climate change along with the negatives. The absence of such an analysis indicates that authors and the journal have no such compulsion to be ethical or professional. Instead, they are demonstrating a desire to be propagandists, with the sole purpose of enabling governments to confiscate more money from the people through false pretenses and scare tactics. It is generally accepted that any warming up to 2 degrees C would provide a net benefit to humanity and the biosphere. Do you think that this Magnificent 7 would propose a tax refund for carbon emitters to say thank you for those benefits? Of course not. This is not about climate change. It is about social engineering, the limitations of freedom and the empowerment of a few. Why do all climate models start at 1979? You’d think people would use the data from the last 35 years and adjust their climate models accordingly. Every suggestion involves more money. Stop the wonders, accept the facts, just like we accept the facts on the fraud that Climate Change via the Mike Mann Hockey Stick lies. AP, ABC, CBS, CNN, NBC, MSNBC, PBS. New York Times, Los Angles Times, Boston Glob, Houston, Austin etal of the MSM lie operation keep the lies afloat. Yes, Rob, but ours, not theirs. Only OPM Famine will stop the modelling. It’s a good thing we have all the man made CO2 to keep the world warm. Eyeballing the AR4 temperature graphs, it looks like the models indicate about 1.1 degrees “c” warming from man made CO2 than without. Put another way, without the CO2, earth temperatures would be about .3 degrees “C” lower than the coldest decades in the instrumental record, if it weren’t for that man-made CO2. Some might say the models are wrong. I don’t. I think they are right, and ask the IPCC to start producing graphs that would show how cold it would be without the CO2. Brrr. And let’s stick to the AR-4 models. The IPCC was certain enough then, so let’s hold them to it. James Lovelock has the answer. “In his new book Lovelock writes: “We may have wasted valuable time, energy and resources by trying to grapple with climate change on a global scale. “It sounds good to try to save the planet, but in reality we are not thinking of saving Gaia, we are thinking of saving Earth for us, or for our nation. “The idea of ‘saving the planet’ is a foolish extravagance of romantic Northern ideologues and probably much beyond our ability. “I think like all organisms on Earth our species has a limited lifespan,” he said. Visual proof of Svensmark’s Cosmic particle theory of cloud formation?? http://www.eldoradocountyweather.com/satellite/misc/s.america-ir-sat.html needs to be observed now as storm clouds hjave formed over a massive area of the amazon within a period of 2 hours. May be what they meant is that the cost to taxpayers for the models that they develop is underestimated and will grow more rapidly. It seems that these climate “scientists” are not quitting and project increasing their activities and surpassing Thompson & Thomson couple who are true phenoms of milking NSF. Climate Change is what’s left when the theory, the hypothesis behind CO2 warming has been thoroughly falsified with observed, measured empirical evidence. Climate Change (and all the euphamisms thereof) has no hypothesis either to falsify or prove true; (a convienient tautology). These GCM models speak for the AGW theory. Climate Change is Newspeak for the power hungry commies among us. That graph above should be on a million billboards across the US. and elsewhere. Would that they were as concerned about the real and documented cost to future generations represented by the debt spiral into which the US is currently rushing headlong. Environmental Economics is a Marxist discipline which explains why its methods and conclusions are always contrary to logic, but sure to support policies that bring about poverty. One might as well believe in fairies as give these guys any credence. Look at the magnetic field. Its a case of FYTW. Humans are sustainable. We will continue,.Release your guilt. Nevermind your carbon footprint; celebrate your carbon foot. Western living standards can be made available to the World; can be made available to every Human being. Make sure to vote accordingly. I agree that we are doomed, but not for the ‘climatey’ reasons they say we are doomed. We are doomed because there is too much stupidity in this world, and it seems to be spreading fast. The Lovelocks of this world will be given an earnest listen for speaking gibberish, yet the sane people will be ignored or criticized. Doomed. 2nd Paragraph – So these models have gaps and weaknesses, so must be updated more often, but we are sure the damages are underestimated. Huh?? Well, if you stand on your head three or four miles away from the graph, looking through a dense fog… late at night… naaahhhh…. can’t even see it then. You cannot underestimate that which does not exist. As yet, the crises they are estimating does not exist. Not in any accurate models, or the reality of the planet. Well, that’s the second catastrophic policy the social democrat running Sweden is perpetrating. Nature is owned by the Holtzbrinck group in Stuttgart. The land of which Stuttgart is the capitol is ruled by an ex-Maoist Green, Kretschmann. Meaning: Today’s population of Swabia is predominantly Green. This Green spirit probably also permeats Holtzbrinck. We need a tax to recover the social cost of government. How about $1.50 of every dollar of government spending gets rebated to taxpayers? Yeah, that should just about cover it. “Economic climate models need to be updated more often to keep up with new research findings”, now that’s an understatement considering the current models don’t come close to matching actual data. Wow! Thomas Sterner, Fruitcake City. Do they really walk among us or just crawl from under the carpet? How in the world do you accurately calculate damages avoided? If the countries of the world were to suddenly reduce CO2 emissions, and the “pause” continued, what damages were avoided? And how do we know that future warming won’t be more beneficial than damaging? 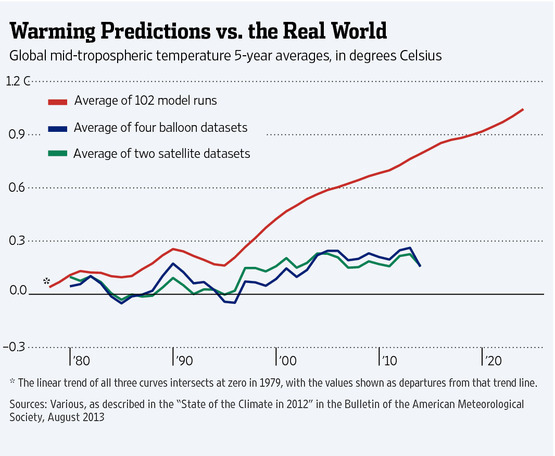 We can’t rely on the models to estimate the costs because Sterner says the models are wrong. So whose guess do we accept, Sterner’s? I wonder if they include the cost of climate research into the total of “damages” due to climate change. I have a feeling that’s the real reason the models are underestimating the social costs of carbon. They don’t account for the exponentially increasing costs of climate research and related grants. There is no end to the fake research and modeling that can be done, so the money has to keep flowing at an ever increasing rate. Yeah, the models do underestimate the harm to be done to future generations by wasting resources chasing a fantasy, i.e., by global warming alarmism. I smile every time that graph is displayed. Estimating future economic and social costs using models that have already been shown to be wrong has to be the epitome of stupidity. Imagine you are sent back in time to 1630 to advise the Governments and leaders of the world that they must not burn fossil fuel in their new steam engines due to global warning. They would want to know what the world of 2014 is like. What would you tell them? Translation: We’re upping the hype and baloney to justify increased taxes and increased control.